Published October 14, 2013 at 1000 × 749 in Motorcycle Photo Gallery. Also referred to as “Pan European”. Now this is a real sport touring bike. V4 engine and shaft drive – fast, comfortable, very smooth for the long haul and fun in the twisties too. Very popular in Europe where it has good market share versus the BMW. But here in the States, volume is very limited (by design). I believe Honda is trying to push the Gold Wing in the U.S. This is a lighter bike than the Wing and more fun to ride. Demand for the ST is much higher than supply, particularly for the ABS versions. The first ’04 models showed up in March ’04. 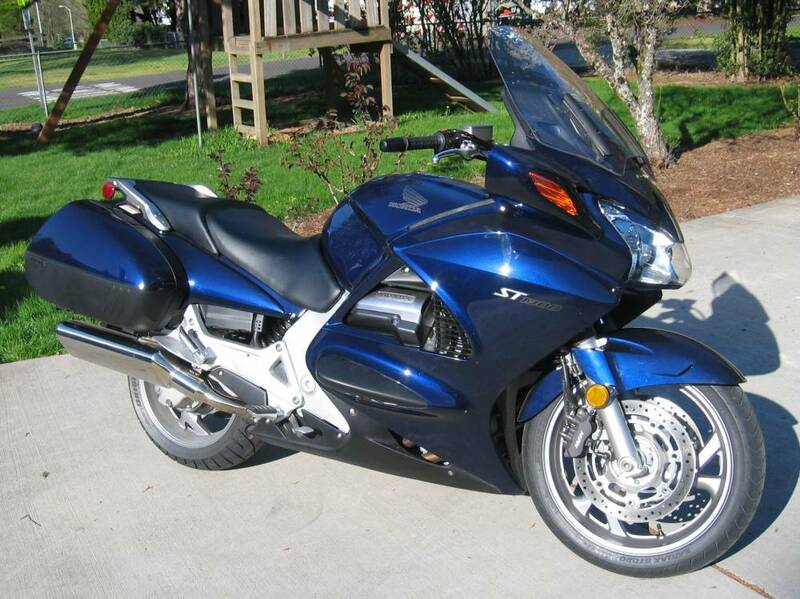 I was lucky to get this particular bike so early, the dealer (highly recommended Hillsboro Honda) told me it was one of the first 20 ABS versions to be delivered to the U.S for ’04.